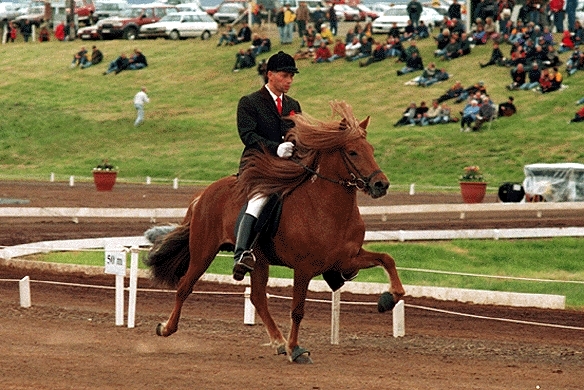 Flóki frá Flekkudal (7.93) is very good four gaited competition horse, son of Dynur frá Hvanmmi (8.47) and Björk frá Vindási. 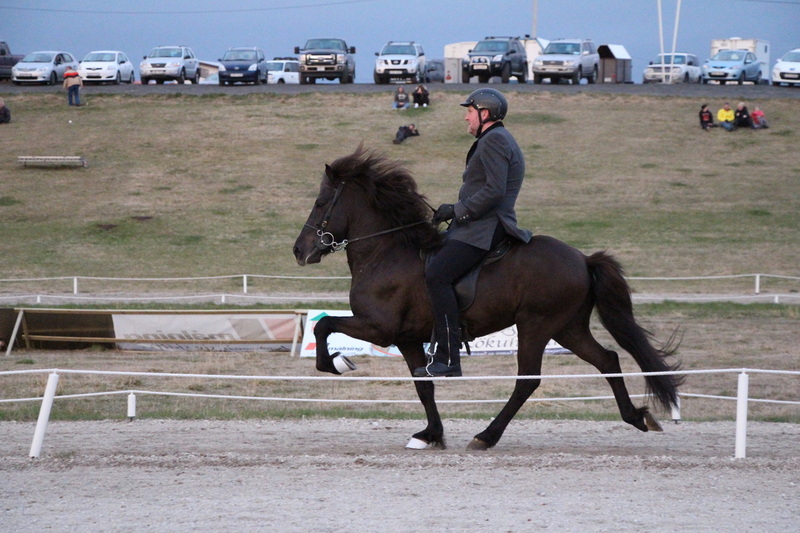 Flóki is very special, all his gaits are extremely good and he has very special spirit. His offsprings are very promising, beautiful and talented. We have high expectations for Flóki both as a competition horse and as a stallion. Flóki has first price 8.18 for Conformation and 7.77 for Riding Abilities; 8 for tölt, 8 for trot, 9 for gallop, 8.5 for spirit, 8.5 for general impression and 8.5 for walk. 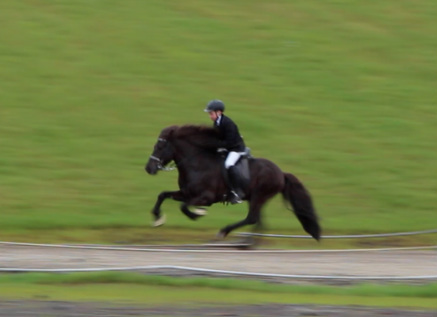 Flóki's highest score is 7.07 in Four Gait V2 and 8.52 in Children's Class. Dynur frá Hvammi (8.47) is a four gaited stallion, son of Orri frá Þúfu, Dynur has 8.32 for Conformation and 8.57 for Riding Abilities; 9.5 for tölt, 9 for trot, 8.5 for gallop, 9.5 for spirit, 9 for general impression and 8 for walk.